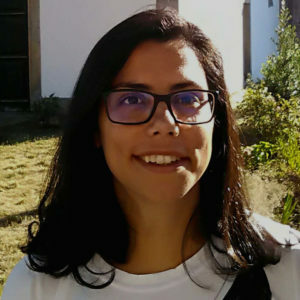 Diana Pinho is a Research Fellow at INL in the Group of Life Sciences/Nano4Health. Her work is focused on the development of microfluidic systems and sensing platforms for automated cell sorting, in particular circulating tumour cells (CTCs) separation and detection. 3D microfluidic models will be also one of the interests area and working progress. Diana graduated in Biomedical Engineering by the Polytechnic Institute of Bragança (2011) and obtained the PhD degree in Mechanical Engineering (2018) from the Faculty of Engineering, University of Porto. The PhD was focused on blood rheology and in the development of microfluidic devices for blood cell separation and deformation analysis and blood cells behaviour under pathological vs healthy conditions. The development of blood analogues and deformable microparticles was also addressed. Pinho D., through a postdoctoral position from ALGORITMI and CeDRI research units, work in the area of 3D printing process optimization, and in the development of in vitro 3D models for cardiovascular pathologies studies. Faustino, V., Pinho, D., Catarino, S., Lima, R., Minas, G., 2018. Pinho, D., Campo-Deaño, L., Lima, R., Pinho F.T., 2017.